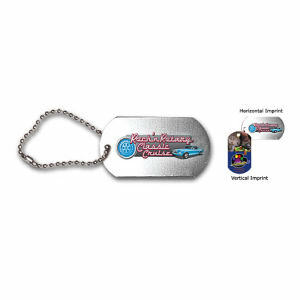 Custom printed dog tags are a hot promotional item these days. These stylish promotional accessories are used for more than just identification. Members of our military wear them for identification purposes, but you’ve seen customized dog tags worn by people as jewelry. 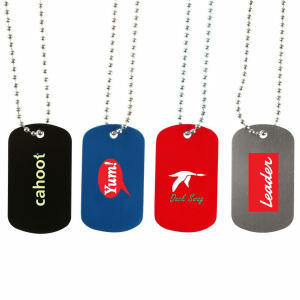 Take advantage of personalized dog tags’ popularity for your brand. 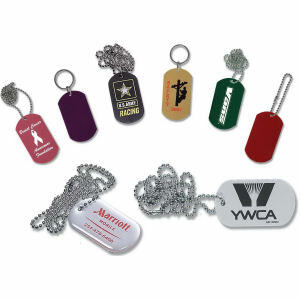 Since imprinted logo dog tags have been around for decades, people have been wearing them as a necklace or bracelet, or attaching them to their backpack or car keys. 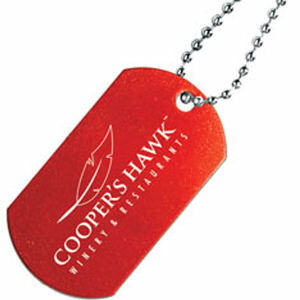 Such visible places mean that your custom logo dog tags will get seen everywhere each day! People go crazy over these custom aluminum dog tags. Personalize them with your company name and logo, and even contact information, and create a winning marketing campaign. 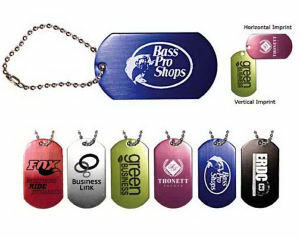 Custom promotional dog tags are designed to be on display, which will generate tons of attention for your brand!